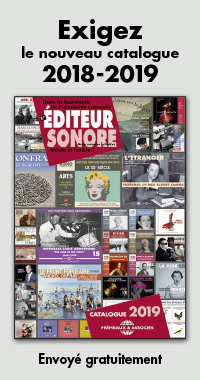 Panorama des années 1920 et 1930 destiné à tous les mélomanes et aficionados de la musique cubaine. 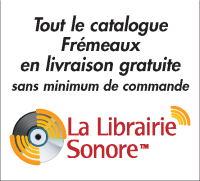 Retour aux origines de la déferlante cubaine : variété des styles musicaux, diversité des voix, richesse des différents formats sonores, finesse des acoustiques naturelles du bois et des cordes, voici véritablement un océan de fraîcheur concocté par Olivier Cossard et Dominique Cravic pour découvrir les racines d’un genre majeur de la World Music ! 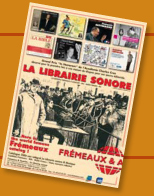 Droits audio : Frémeaux & Associés - La Librairie Sonore. Recommandé par le Musée du Quai Branly (sélection septembre 2006 site du Musée du Quai Branly). 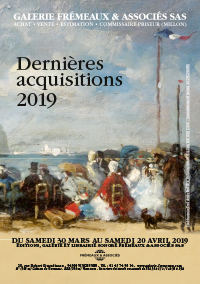 The recent focus on the mambo craze of the fifties in America has resulted in some excellent overviews from Frémeaux, Rhythm And Blues, and others. Whilst much has been made of those Cuban musicians who toured/recorded and/or worked in the USA and popularised the Cuban mambo, the music of Cuba itself, which preceded the Latin jazz, Rumba and Mambo movements has been largely neglected. Which is where this release comes in. The aim of this set is to showcase the diverse styles of Cuban music in the stated time-span and it succeeds admirably in this. Approaches range from small acoustic string band lines-ups to jazz inflected big bands plus percussion, with Manolo Castro and his Havana Yacht Club Orchestra including a wonderful version of ‘St Louis Blues’ (sic) from 1931 and labelled as a ‘rumba’ (which in this rendition is not far off the mark). There are traces of other Caribbean styles and Mexican music (as well as numerous references to ‘El Manisero’ – ‘Peanut Vendor’), but the expected Cuban styles of son, bolero, danzon, and of course rumba, are all well-represented, plus the occasional lesser-known comparsa and lucumi (Rita Montaner’s ‘Lamento Escravo’ – which in its formal delivery reminds me of Paul Robeson!). The material was mostly recorded for RCA-Victor and Columbia, though there are titles made in Europe (Paris was crazy for Cuban music at this time, following Rita Montaner’s ground-breaking visit in 1928!) and released by Pathé and Odéon. The sound quality is top-notch throughout, and the music ranges from the romantic, stereotypical and dated (‘Ojos Verdas’ by Don Juan is a perfect example from 1932; so too is Manolo Castro’s ‘Marta’ of a year earlier – both of these would sit quite happily on the soundtrack of some early 1930s Hollywood black and white movie) to the rough and ready items such as the son ‘Tierra China’ by Ricardo Martinez and his group from 1927 and Sexteto Enriso’s ‘I Like You’. It is just my personal opinion but I do find the guitar-driven numbers, which are far more prevalent on the second CD, far more to my taste (and so many of the introductions to these items brought Leadbelly to mind – which may be either coincidence or underline his debt to Mexican musicians). This double-CD covers a lot of ground but it certainly succeeds in displaying the wealth and diversity of Cuban music at this time. Some readers may find themselves reaching for the ‘skip’ button from time to time (though there is nothing too off-putting), but overall this is an admirable compilation, and definitely recommended to anyone interested in the subject.